Max Ernst (1891-1976). Born on 2 April 1891 in Brühl, near Cologne. Painter, poet. Studied philosophy at the Bonn university (1909 - 1911). Never had any formal artistic training. Exhibited at the First German Autumn Saloon "Sturm", Berlin, 1913 and in the same year went to Paris for the first time. There he came to know the work of Picasso and de Chirico. In 1914 he met Arp at the "Werkbund" exhibition, Cologne. Further exhibition at the "Storm" gallery, Berlin, in 1916. In 1919 he founded, together with Arp and Baargeld, the Cologne dada group and collaborated with Arp in the creation of the "Fatagaga" collages ("Fatagaga" = "Fabrication de tableaux garantis gazométriques" = "Manufacture of guaranteed gasometric pictures"). Co-editor of "Dada W3" and "Schammade". Organized the dada-exhibition in the "Brauhaus Winter", which was closed by the police as contrary to "morals". In 1920 first exhibition of collages at the "Sans Pareil" gallery, Paris. Took part in the dada-meeting in Tyrol 1921, together with Arp, Breton and Tzara. Contribution to "Dada in Tirol, Au Grand Air, Der Sängerkrieg". Went to Paris in 1922. Contributor to many dadaist publications. 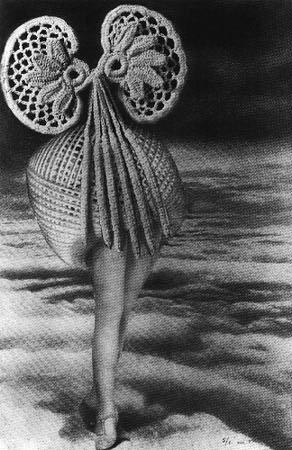 Took an active part in the founding of surrealism and became one of the leading surrealist painters. Moved to New York in 1942 and lived both there and in Sedona, Arizona, until his return to France in 1954. "The scandals associated with the name of Max Ernst during the early post-war period have become legendary. They were sparked off by radical actions designed to épater les bourgeois to the utmost. Yet the artist's involvement in this type of activity was sporadic and temporary. He once explained why this was so during a visit he and I made in 1967 to the great Dada retrospective in Paris. Being a Dadaist by profession, he said, was a contradiction in terms. There was no such thing as an unchanging state of revolution. And to put the spirit of Dada on exhibition, he continued, was no more than a weak illustration, like trying to capture the violence of an explosion by presenting the shrapnel. "Behind this rejection one could sense a realization that the deep and intense despair that had triggered off the first post-war works had been rendered harmless to the point of cuteness by the subsequent, reverential appreciation of Dada. The artistic character now so matter-of-factly attributed to these works was by no means intended by Max Ernst and the other members of the Dada groups. This is indicated by the revolutionary, self-destructive elements that occur in so many of Ernst's texts. Not only do they pillory and abuse established society, their hate is equally directed inwards, expressing itself in self-abasement and a radical renunciation of humanistic values and of belief in utopias. After a phase of extreme disillusionment which, as all the texts in Bulletin D or die schammade indicate, could react to the destruction of war only by reviling and distorting established values all the more, there gradually emerged works in which the pendulum of destruction began to swing back. The radicality with which, in the course of a few months in 1919, Ernst demolished the institutional and definitional parameters of art both traditional and avant-garde was followed before the year was out by the building of the world of collage. "The positive term 'building' is appropriate in this connection, although it may seem an extraordinary paradox. A few examples will serve to show what is meant. Max Ernst's rejection of art was given a stylistically determined form. The works that now emerged were structured by principles that governed the choice of materials and by constants that determined their use. From the beginning Ernst knew how to set limits on the infinite number of possibilities offered by existing materials and forms. When he invented this new working procedure based on quotation in 1920/21 he immediately recognized both its potential and the dangers it involved. "The expressive possibilities of collage seem so simple that one is tempted to think that anyone could employ them to equal effect. Yet when one reviews the works of this early period - the printer's plate prints, say, those compositions made with the aid of old line blocks found in a printer's shop - it becomes obvious that Max Ernst's brilliant accomplishment consisted of having developed a syntax by which the employment of this found material could be controlled. For all their independence from traditional artistic techniques and the imitation of nature, it is surprising how much stylistic unity these works evince. Thanks to his stylistic syntax Ernst created recognizable links between the works, which form a coherent sequence. Criteria of choice and criteria of employment are everywhere in evidence. Indeed, the effect of every Max Ernst image depends largely on the fact that it sets its own limits. One might add, as a general principle, that the collages and frottages (and the painting and sculpture derived from these techniques) arc so astonishingly effective because their creator succeeded in placing conscious restrictions on the arbitrariness and amorphousness to which such semi-automatic techniques all too easily lead. Ernst not only created individual, disparate works; more importantly, with the aid of variations and series, he simultaneously created the climate in which these works live and breathe. And one should note that it was a climate his contemporaries found almost unbearably bracing. In an announcement in die schammade for the portfolio Fiat modes - pereat ars Max Ernst characterized himself, in an untranslatable pull on the German word for uterus, Gebarmutter, as 'der gebaervater methodischen irrsinns', the male mother of methodical madness. If we take 'methodical' to be the operative term which reveals the essence of his procedure, we have the precondition for the fascinating developments that now began. "These are observations that run entirely counter to the first radical phase of Cologne Dada, whose attack on aesthetic conventions placed it closer to Duchamp and Francis Picabia than, say, to the Dadaists in Berlin. This is why, in dealing with Max Ernst's work, it is impossible to do without the concept of processing, the conscious reworking of existing material. It is pointless to speak of anti-art in this connection, because what we are dealing with, quite objectively, is the genesis of a superb and far-reaching aesthetic. This is the point at which Ernst, the artist, comes on the scene. We must face up to a paradox: his early work had no direction, and was a far cry from his subsequent Dada activities. His first paintings, done within the orbit of August Macke, the Sturm gallery and the Cologne Sonderbund exhibition, were as planless and stylistically inconsistent as his Dada period was definitely articulated, a world of stylistically and morally defined resistance. "Again, the crux is this: Max Ernst's careful selection of seminal imagery employed in collages and all the variants of collage, and the formal criteria which determined the composition of the printer's plate prints, rubbings, overpaining,s montages of photographic positives and paste-ups of wood engravings all indicate the primacy of control. Everywhere we look, we find invariables that oppose the seemingly unlimited availability of the material, that place considerable restrictions on its character and use. "Let us try to define a few of the constants of this pictorial syntax. The most important is that Max Ernst's collages, for all their strangeness, strive for overall coherence and technical plausibility. This 'plausible' imagery, unlike the papiers colles of Picasso and Georges Braque, depends on an expurgation of the visible difference between artist's hand and non-artistic quotation. The joins and overlappings had to be concealed from the viewer. This is why Ernst frequently published his composite imagery only in printed form, in photographic reproduction or in versions later touched up with watercolour. Thanks to these tactics of concealment he succeeded in presenting collage as that which he thought it should be: a completely developed and autonomous system in which the origin of the separate elements is submerged in the final, total image. He was out to produce irritating imagery in which, as in the perfect crime, every clue to its identity had been erased. The joins between the collage elements, moreover, were not so much physical as mental in nature. The hinges linking one piece of source material with another had to remain invisible, which also explains why leaps in scale tended to be avoided. These would have given too much emphasis to the original meaning of the elements, upsetting the coherence of the final image. It is easy to see that such strict conditions limited the use of collage material to a much grater extent than is initially apparent. "The collages require a redefinition of categories, since the fabrication of such imagery is bound up with a completely innovative notion of tradition and with an extraordinarily intense involvement with illustrations. A literal quotation of the illustrations employed would obviously contradict the meaning of the new image constructed from them, and also the circumstance that this new image must become part of a defined stylistic context. Considerations of this kind served Max Ernst as a guideline in making his selection from the plethora of intrinsically neutral material available to him. "The laws of Dada - this seeming contradiction in terms is one of the most consequential results of a systematic investigation of the aesthetics of collage in Max Ernst's work. A glance around his studio will illustrate what I mean. Everywhere you looked there were stacks of illustrated books, scraps of wallpaper, raw materials of every description which the artist built into his works right up to the end of his career. When one leafs through the nineteenth-century folio volumes, illustrated with wood engravings, which were one of his favourite sources, one is surprised to find that he proceeded differently from the way one would have assumed in view of the enigmatic imagery that resulted from his use of them. Spectacular depictions with Dadaist or surreal qualities of their own interested him hardly at all. Instead, it was the banal, insignificant, run-of-the-mill illustrations that inspired him to pictorial statements of the most dazzling kind. "In the collages various levels of meaning coexist on a single pictorial plane. Confronted with this composite imagery we have no choice but to apply the notion, familiar from traditional art, of the picture as a unity, a totality. Looking at pictures has accustomed us to considering the motifs that appear within an image as a whole. If we were not compelled by the coherent nature of the collages to employ this simultaneous perception, we might be able to perceive the elements from which they are constructed individually and divide the enigmatic image into intelligible parts. This involves us in a continual clash between overall perception and a need for interpretation that fastens on one detail after another; and this clash, in turn, is the source of that unique mood produced by any confrontation with a Max Ernst image - elements that are intelligible in isolation become ambivalent on the level of composition and communication. "This discussion of his materials and their processing enables us to define the categories that determined what could enter his imagery and, by the same token, the criteria according to which certain materials were excluded from use in collage. After all, the principles governing the choice and employment of material also define the artist's rejection of an unlimited range of combinations of information in collage, what Theodor Adorno once called its 'bad boundlessness'. It was Ernst's refusal to accept information at random that led to the recognizability of his collages as his own. His resistance to a world captured in visual media was the basis for his style. For style is not merely a technical category, but all ethical one. As Joe Bousquet once put it: 'For all of the liberties he helped us conceive of, for every notion he discredited, Max Ernst paid the highest price. His life withstood continual tension between a creative furore that nothing could contain and an extremely rigorous method based on almost incredible demands.'" Text from Werner SPIES, introduction to "Max Ernst: A Retrospective"
je me connais à lire l'âge dans les lignes physiognomoniques du front : il a seize ans et quatre mois ! Il est beau comme la rétractilité des serres des oiseaux rapaces ; ou encore, comme l'incertitude des mouvements musculaires dans les plaies des parties molles de la région cervicale postérieure ; ou plutôt, comme ce piége à rats perpétuel, toujours retendu par l'animal pris, qui peut prendre seul des rongeurs indéfiniment, et fonctionner même caché sous la paille ; et surtout, comme la rencontre fortuite sur une table de dissection d'une machine à coudre et d'un parapluie ! Mervyn, ce fils de la blonde Angleterre, vient de prendre chez son professeur une leçon d'escrime, et, enveloppé dans son tartan écossais, il retourne chez ses parents. Une réalité toute faite, dont la naïve destination a l'air d'avoir été fixée une fois pour toutes 9un parapluie) se trouvant subitement en présence d'une réalité très distante et non moins absurde 9une machine à coudre) en un lieu où toutes deux doivent se sentir dépaysées (sur une table de dissection) échappera par ce fait même à sa naïve destination et à son identité ; elle passera de son faux absolu, par le détour d,un relatif, à un absolu nouveau, vrai et poétique : parapluie et machine à coudre feront l'amour. le mécanisme du procédé me semble dévoilé par ce très simple exemple. La transmutation complète suivie d'un acte pur comme celui d'amour, se produira forcément toutes les fois que les conditions seront rendues favorables par les faits donnés: accouplement de deux realités en apparence inaccouplables sur un plan qui en apparence ne leur convient pas. Épargne chaque soir le coeur noir de mes yeux.